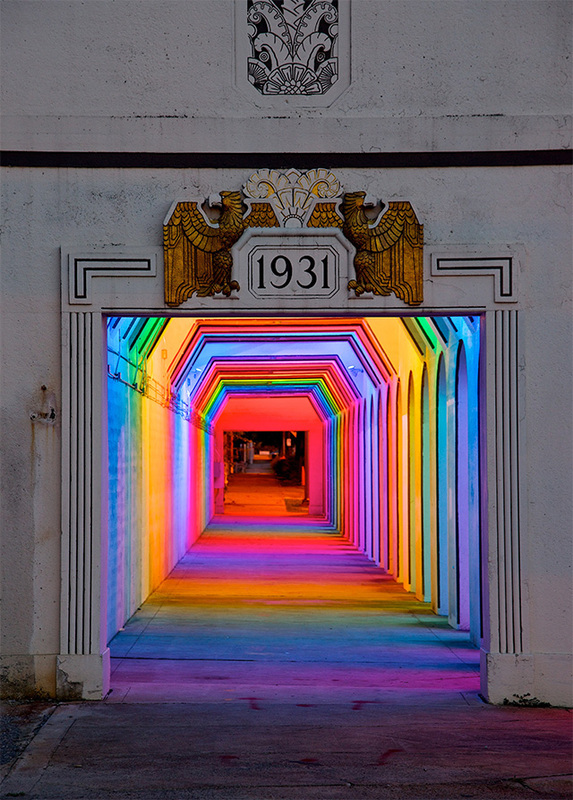 Artist Bill FitzGibbons has transformed an abandoned railway bridge in Birmingham, Alabama in to a rainbow dream tunnel. Some (I) would argue that the art deco tunnel, which dates back to 1931, is fairly glorious on its own, but apparently it had become a bit dark and creepy in recent years so Bill was called in to jazz things up. And jazz things up he has. A digitalised LED light show forming various patterns has transformed the space, making it a much more attractive place to hang out. 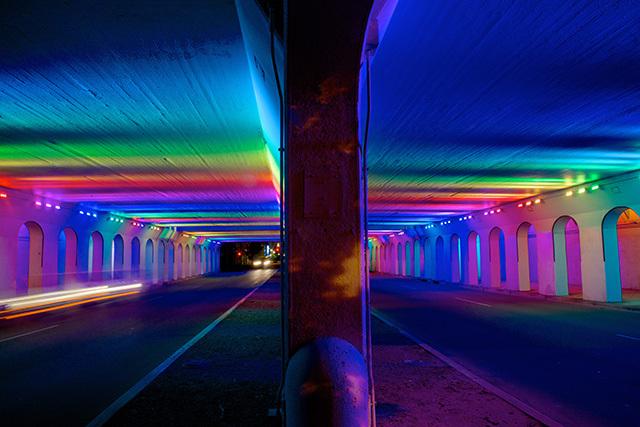 You can read more about it – and see more of Bill’s brilliant light projects – here. Kinda reminds me of the art under the San Antonio boardwalk.